Lafeber's Premium Daily Diet is a high quality blend of natural ingredients like ground non-GMO corn and soybean meal. Both grains are literally grown outside Lafeber Company's front door. 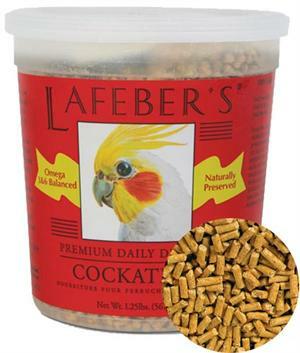 The different grains are mixed and essential vitamins, minerals and amino acids are added which are necessary for strong bones and brilliant feathers.